Unsent, undated card. Francis T. Stamets, photographer. This photo is taken from the Warren County side of the river and looks west. 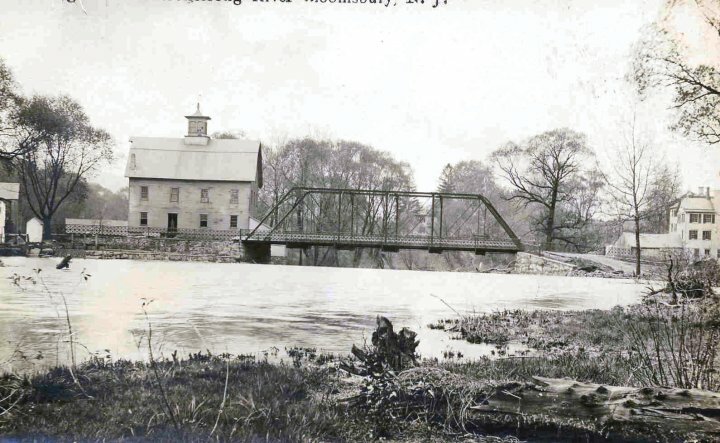 The old flour/graphite mill is at the left end of the bridge.